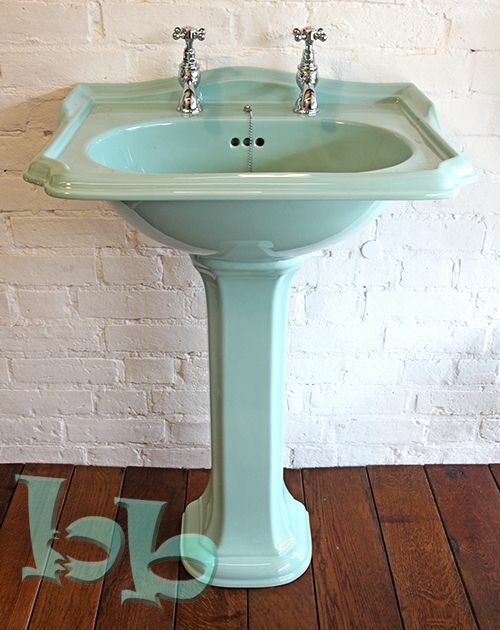 Beautifully hand crafted washbasin (sink) and pedestal in elegant traditional style, this design is based on an Edwardian pattern with exquisite finishing and intricate detail. 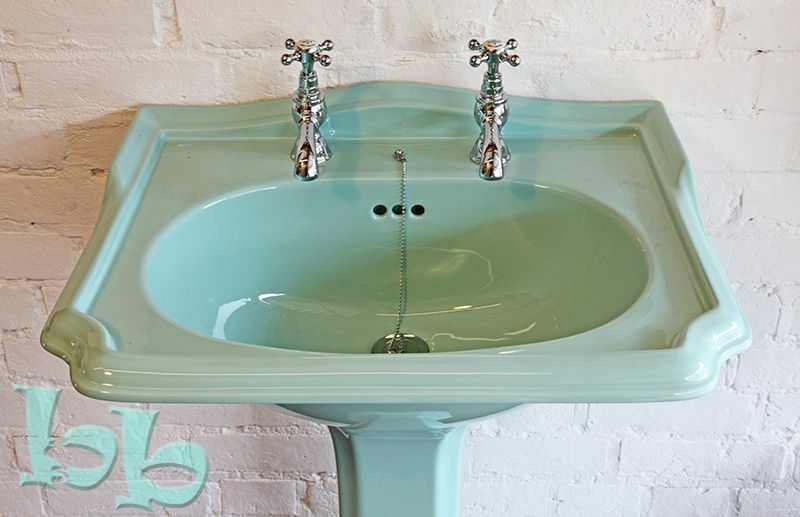 Equally at home in a traditional period setting or a contemporary setting with a nod to the past, this range is now exclusively available in a range of classic colours, including Turquoise as shown here, generally to special order so please allow 6-8 weeks for delivery. For all other colours and any enquiries you may have regarding this range please call 01428 608164 during normal office hours. Available with 2 tapholes as shown for use with basin pillar taps and plug & chain waste, or 3 tapholes for use with a 3 taphole mixer or pillar taps/independent pop-up waste combination. 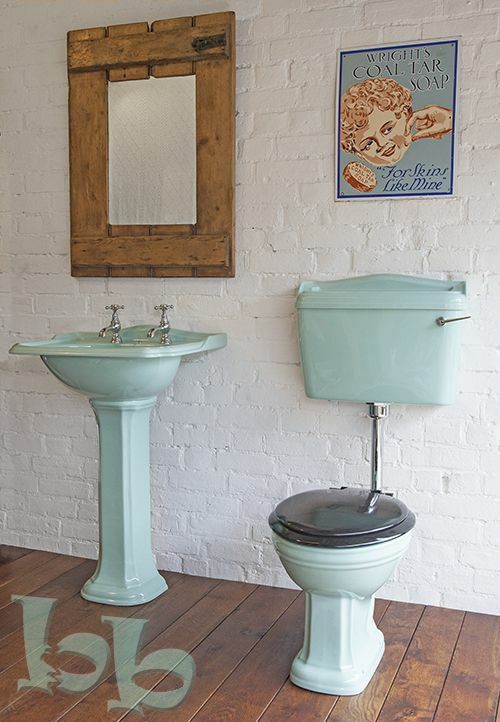 NB: Price is for washbasin & pedestal only - other items available in this range include a chrome washstand in place of the pedestal, matching WC (see related products below) & bidet options, and matching taps as shown. Please contact our office on 01428 608164 for details.